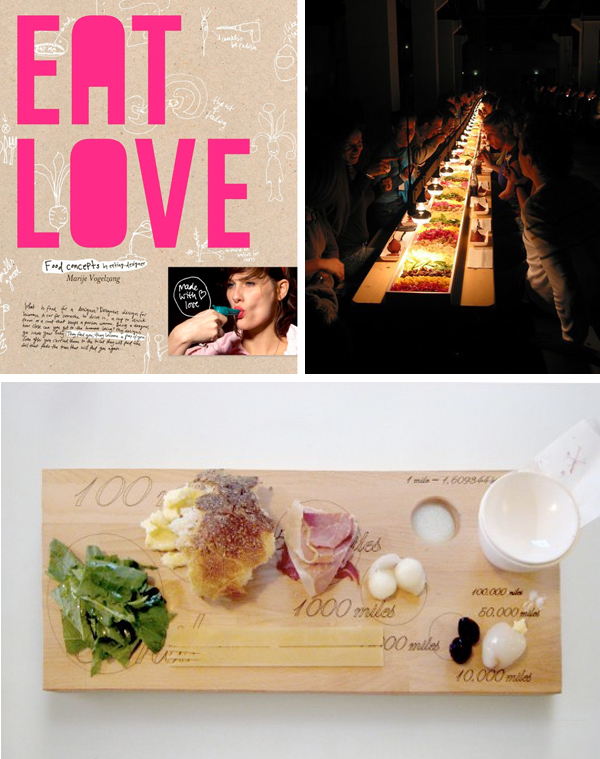 Crossing design and food Marije Vogelzang looks at food through a very creative perspective. Her long list of accomplishments include designing dinner parties and eating experiences, a product line full of quirky cool edibles, social projects for hospitals and restaurants, a couple books that I hope to someday get my hands on, and a restaurant with two locations in Amsterdam called Proef! I am very happy to come across Marije and her team's work, it is phenomenal eye candy that is conceptually inspiring. Such a neat idea! I love the concept of designer eating. And these are great pictures too! we interviewed this lady at a magazine i worked, she's fabulous! !